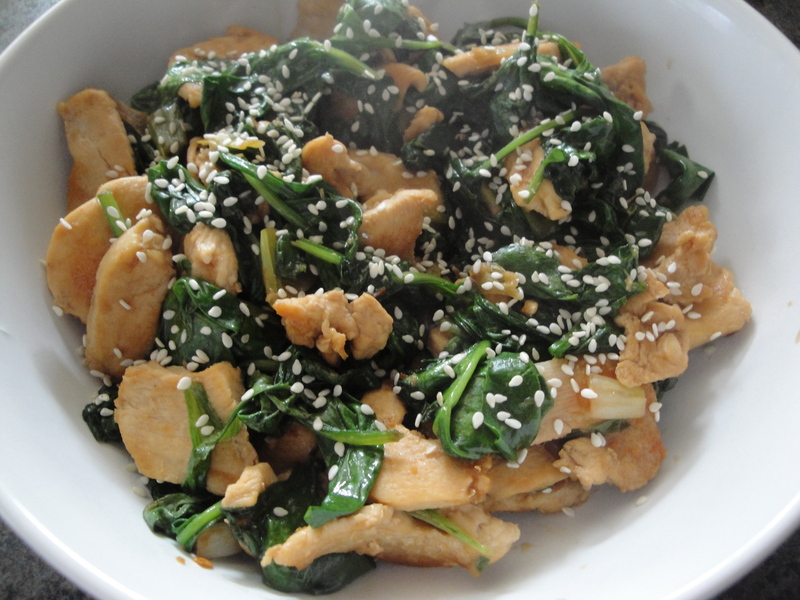 I’m a sucker for stir-fry so this Sesame Chicken Stir-Fry was a no-brainer. The original recipe from Cooking Light is actually a beef stir-fry but since I don’t eat beef, I adapted it to my liking and boy, do I like it! 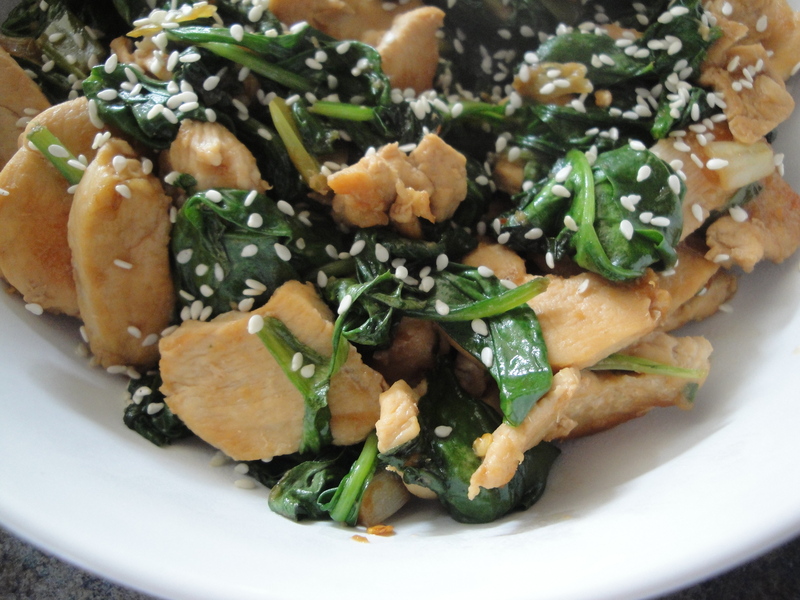 Thin slices of chicken are cooked and then mixed with a salty, sweet, spicy sauce and then with baby spinach. Yum! If you are watching your carbs, or even if you aren’t, please consider making this. You could easily serve it over rice to make it an even heartier meal but I like it just the way it is. 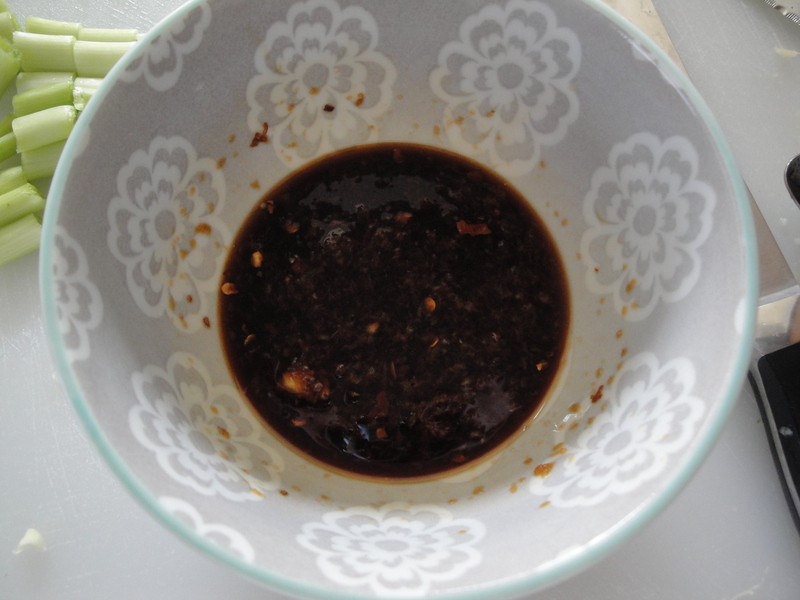 The stir-fry sauce is very tasty with ginger, garlic, soy sauce, brown sugar, and crushed red pepper. Because crushed red pepper doesn’t give me the kick of heat that I usually want, next time I make this (and there will be a next time!) I’ll probably substitute it with hot chili sauce like sriracha or cayenne pepper but if you have a sensitive tongue, you can leave it out altogether. 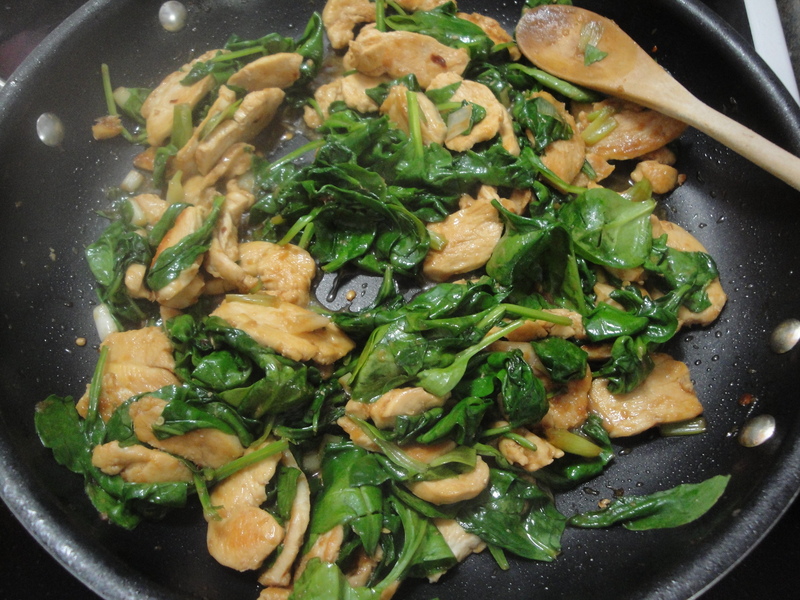 If you don’t like spinach, the versatility of this recipe allows you to switch up the ingredients. Try making it with broccoli, or if you want it make it vegetarian, try this sauce with any of your favorite veggie combinations. 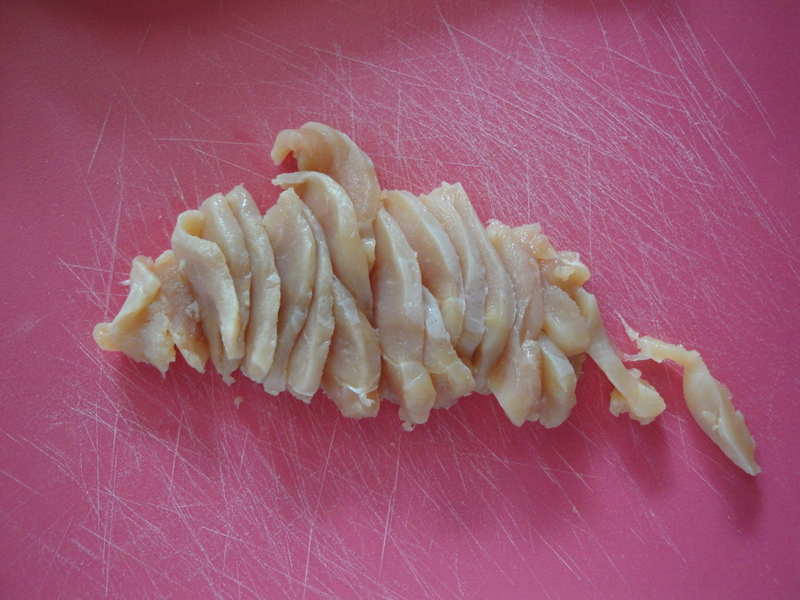 Slice the chicken into thin strips and cook in a pan with sesame oil. 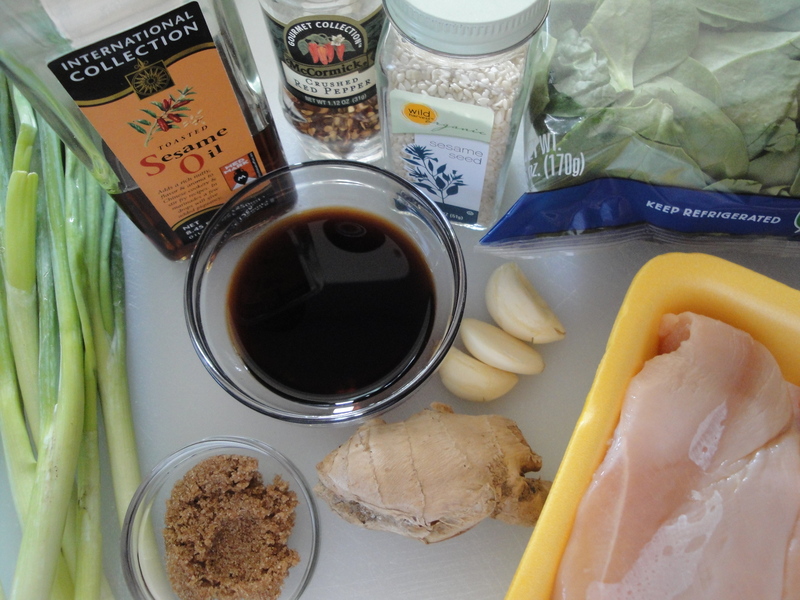 While chicken cooks, make the stir-fry sauce by mixing together soy sauce, ginger, garlic, dark brown sugar, and crushed red pepper in a small bowl. 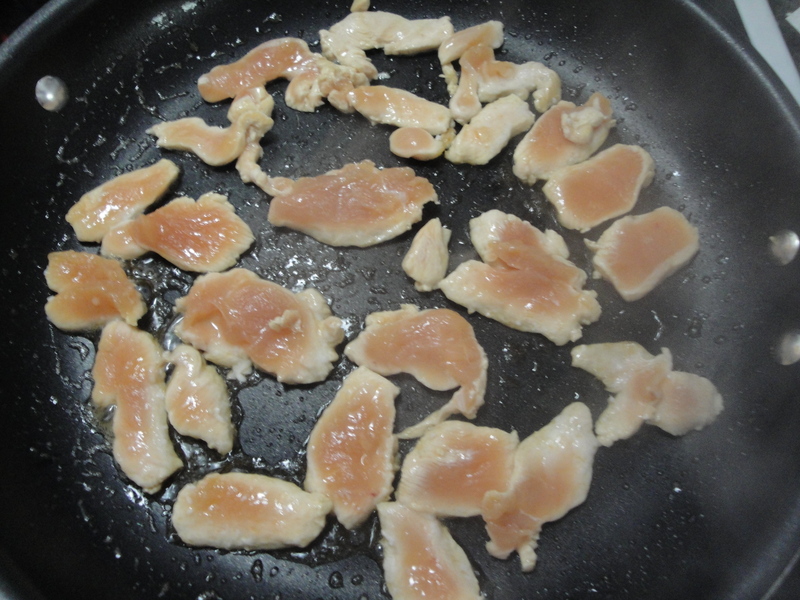 Remove cooked chicken from the pan and set aside. 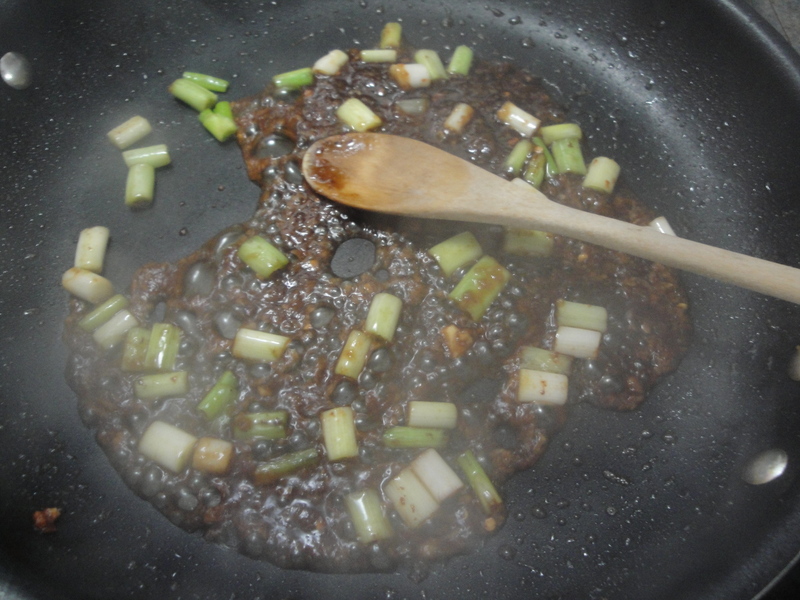 In the same pan, add green onions and stir-fry sauce and cook briefly. 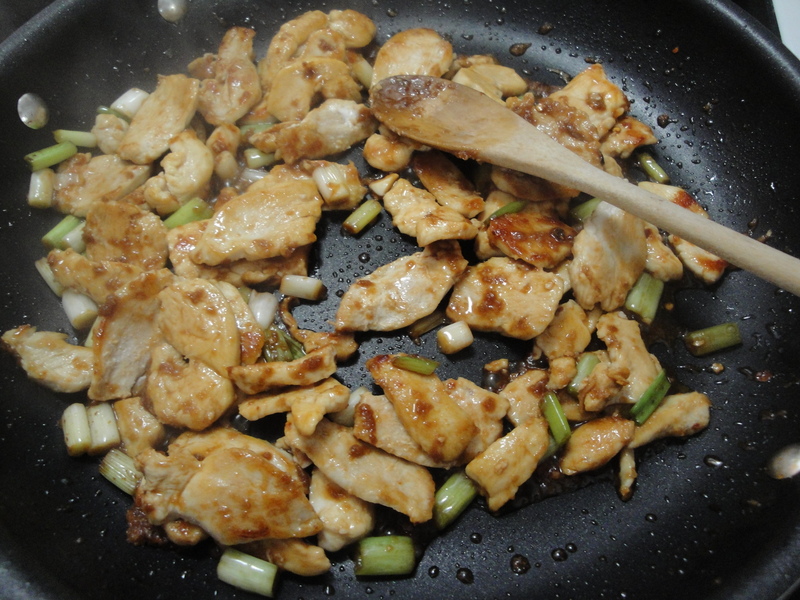 Add cooked chicken slices back into the pan and mix until well coated. 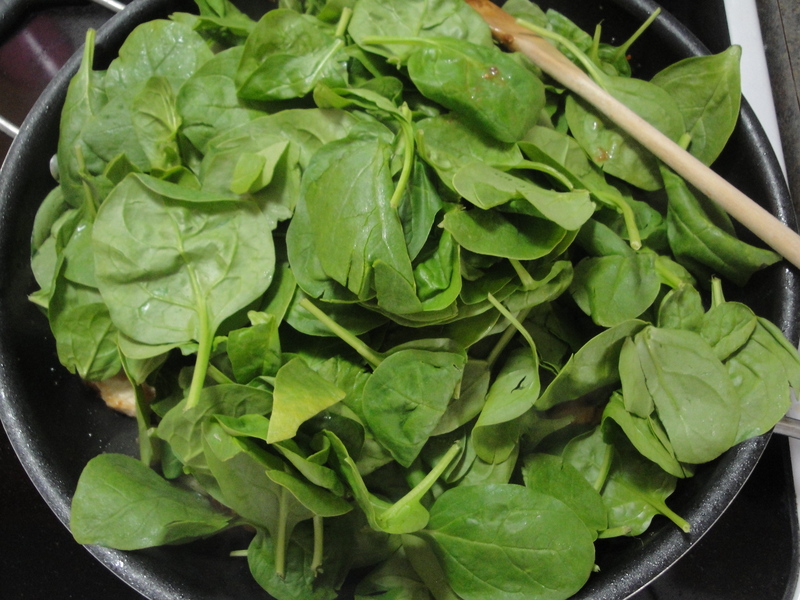 Into the pan, add baby spinach and cook until wilted.